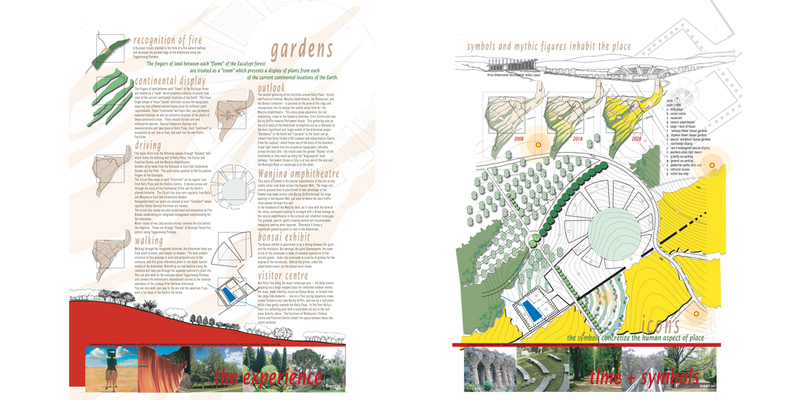 Ecoscape in collaboration with Des Smith & Grant Revell entered the design ideas competition for the Canberra Arboretum. If you showed up with the gift of a plant you would know where to plant it because it has a position in time and geography, and this position would be integral to the structure and design of the Arboretum. Australia is an old and stable continent with a landscape that regenerates by fire. At the International Arboretum and Gardens, a fire pattern, pushed by the hot westerlies, brushes across the site expressing the recent and ongoing ecology of the site and the continent. 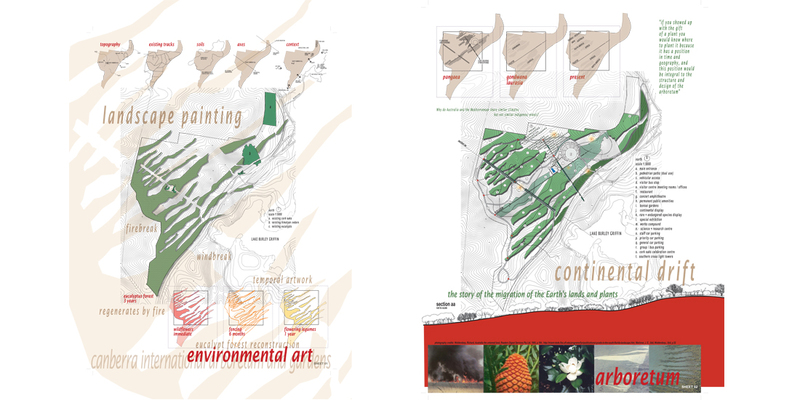 This temporal artwork reinstates the natural regenerative processes of the site through bushland restoration strategies to create a new eucalypt forest. The immediate fire pattern is expressed by the seeding of annual wildflowers. After six months, the pattern is defined by a Christo-like running fence of flame-coloured fabric. This spectacle across the site protects the new plantings from vermin, including humans. Then, after six months a mass planting of brilliant yellow acacias fixes the nitrogen in the soil preparing it for the final stage of the process – the planting and seeding of the local eucalypt forest community. The fingers of the growing forest provide the windbreak and the structure for the arboretum gardens. The ring road provides the firebreak for the protection of the new forest. The science of bush restoration is literally painted on the landscape of the Arboretum and the elements and structure of the painting interpret the unique ecology of Australia for the local, national and international visitor to Canberra. The Arboretum sets out the story of the migration of plant life on the planet. 500 million years ago the super-continent “Pangaea” was dominated by cone-bearing Gymnosperms, and 200 million years ago the flowering angiosperms dominated and migrated across this super-continent. Within the Arboretum, facilities around Kelly Plaza are designated as “Pangaea”, and they sit along the “Equator”. The axes that cross this “Equator” illustrates these two early periods in Earth’s history. These axes provide the primary cross circulation pattern which then integrates these major periods geographically with respect to the “Equator”. Along the Gymnosperm axis the conifers are at the higher latitudes (further from the “Equator”) whilst the cycads inhabit the territory close to the “Equator”. Along the Angiosperm axis, the flowering plants that the world shares spread across Pangaea, with the ancient Angiosperms, such as the Magnoliidae Family, displayed within their continental “room”. As one moves along either of these axes, historic plant life is displayed relative to the Earth’s geography. After the Angiosperms spread across Pangaea, the super-continent split into Gondwana and Laurasia along the Equator. Gondwana was dry with low nutrient soils and Laurasia was moist with rich soils. At the Arboretum, Gondwana is located on the low nutrient Burra Soils at the higher elevations and Laurasia is located on the seasonally waterlogged Williamsdale Soils. The fingers of the Eucalypt forest provide the garden rooms for the display of trees from the present continents of the Earth. Plants from each continent can be displayed separately, while the similarities can be interpreted by the physical adjacency and the position of Gondwana and Laurasia. The Visitor will know when leaving the Arboretum, why Australia and the Mediterranean share similar climates but do not share similar indigenous plants. Even the visitor’s site map will tell the story of the migration of plants across the Earth with their location in, and passage through the Arboretum mapped against the history of the Earth’s land and plants. The major drive from the Entrance passes through “Equator” wall which forms the defining wall of Kelly Plaza, the Visitor and Function Centre, and the Wanjina Amphitheatre. This central gathering of the facilities around Kelly Plaza – Visitor and Function Centres, Wanjina Amphitheatre, the Restaurant, and the Bonsai collection – is perched on the prow of the ridge and incorporates into its design this subtle valley form for the Wanjina Amphitheatre. The place of the Kelly and the Wanjina gives expansive, but not dominating, views to the Canberra environs, Civic Centre and Lake Burley Griffin towards Parliament House. This gathering acts as the civic heart of the Arboretum to hopefully act as a reference to the more significant and larger events of the Arboretum proper. From the Lookout on Dairy Farmers Hill – which forms one of the stars of the Southern Cross light towers that are arrayed as topographic referents across the total site – the visitor sees the garden “Rooms” of the Continents as they stack up along the “Angiosperm” axial pathway. This pathway displays the ancient flowering plants that the worlds continents share. 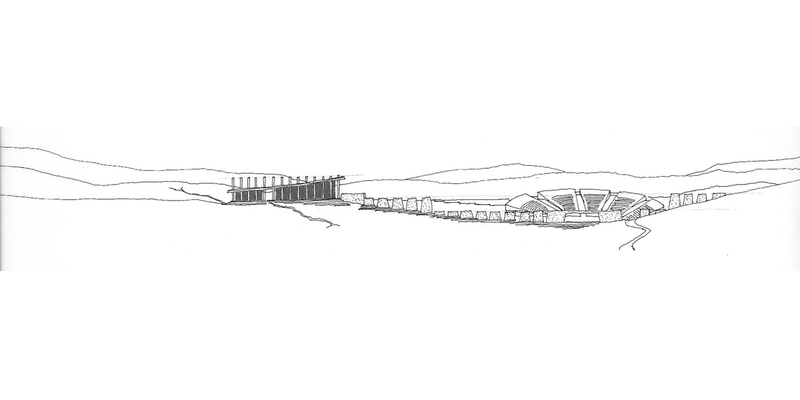 And this axial link illustrates the shared heritage. Parliament House or City is at one end of this axis and the Molonglo River or Landscape is at the other. Both the Angiosperm and Gymnosperm axes relate the structure of the Arboretum to the Canberra landscape. Walking through the integrated histories, the Arboretum takes you from event to event, and chapter to chapter. 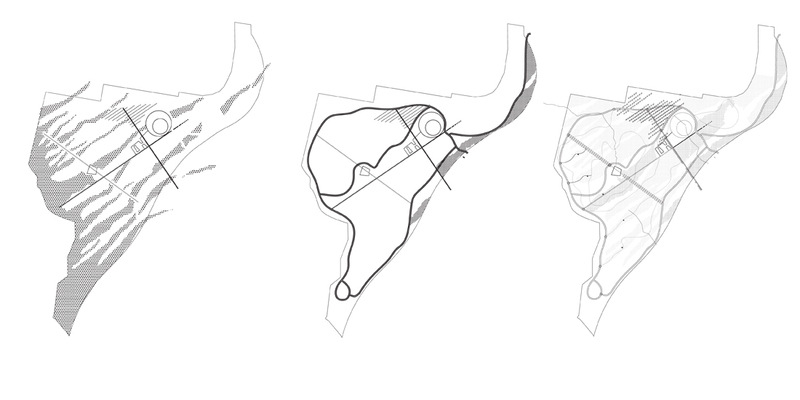 The most evident structure to this passage is axial and perpendicular to the contours, and this gives referential place to the major special events of the Arboretum. Branching out and walking along the contours will take you through the “Continents” of the earth’s current plant life forms. The finger of land between each “flame” of the Eucalypt forest is treated as a “room” which presents a display of plants from each of the current continental locations of the Earth. 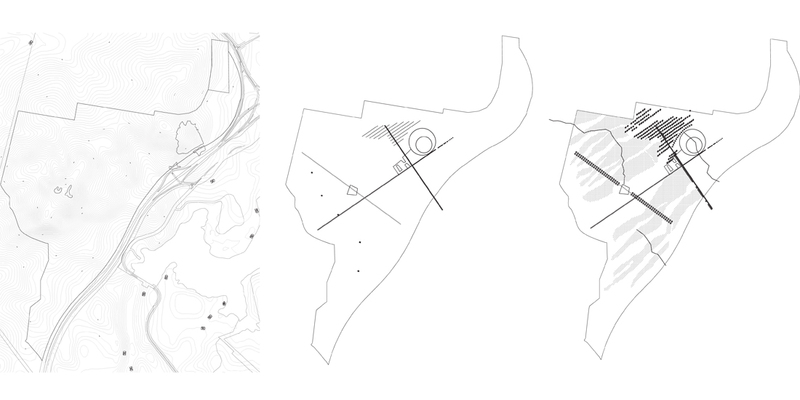 The linear, finger-shape of these “rooms” stretches across the topography assuring that different microclimates exist for different plant requirements. These “continents” will have their own permanent seasonal displays as well as collection displays of the plants of these continental areas. These should include rare and endangered species displays. Special temporary displays and demonstrations will take place at Kelly Plaza. Each “continent” is accessible by car, bus or foot, and each has its own Public Facilities. Icons, symbols and mythic figures inhabit the place of the International Arboretum. 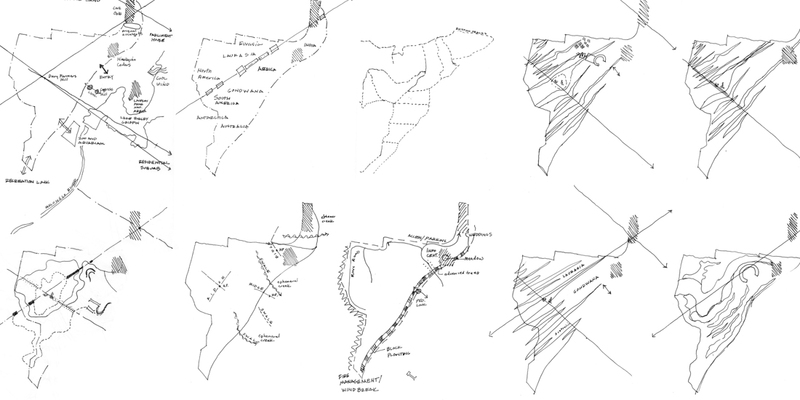 Their presence in the landscape concretizes the human aspect of place. Their three-dimensional development makes space. The specific event functions of the Arboretum are housed and accommodated by their formal presence. 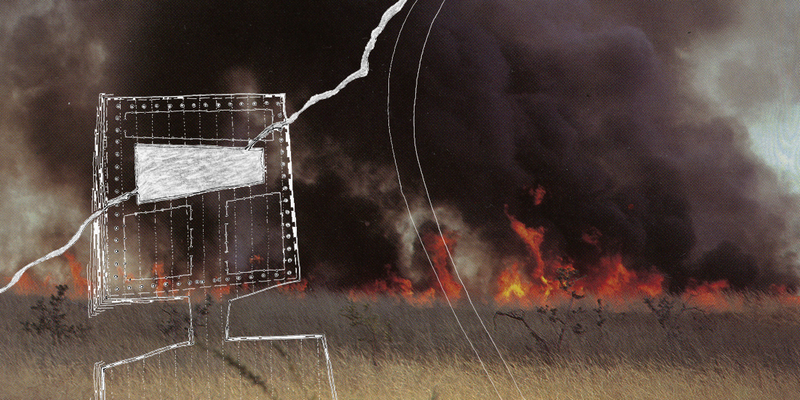 Ned Kelly lies along the major landscape axis – his body armor mapping out a large stepped plaza for contained outdoor events. 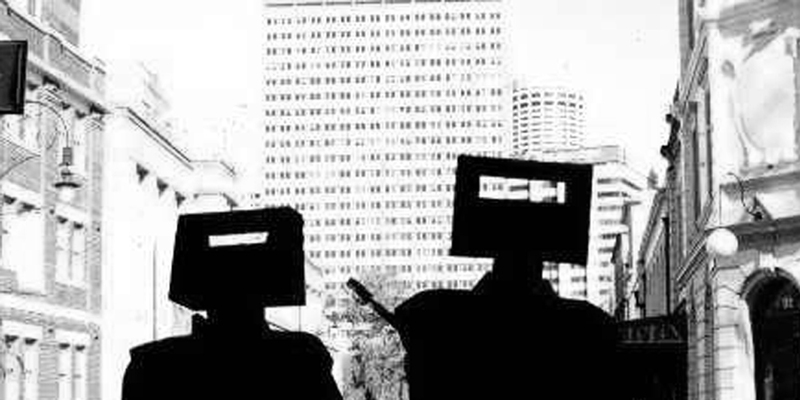 His mask, made indelibly iconic by Sidney Nolan, is formed from two large slab elements – one as a floor giving expansive views across Canberra and Lake Burley Griffin, and one as a roof plane which rises gently towards the Kelly Plaza. In the floor, Kelly’s visor is a reflecting pool with a coincident cut out in the roof plane directly above. The functions of Restaurant, Visitors Centre and Function Centre inhabit the space between these two iconic surfaces. At the other end of the Kelly Plaza directed towards Lake Burley Griffin and lying along a subtle valley line, a natural amphitheatre is symbolically inhabited by a Kimberley Wanjina figure whose outline provides the formal structure for the concert venue. The form of the amphitheatre is enhanced by terraces extending from the upper tiers to provide protection as well as a series of bays to house the Bonsai Exhibit. The areas under these terraces can accommodate the back of house requirements of these exhibits (with the exhibits relating directly to the surrounding landscape). 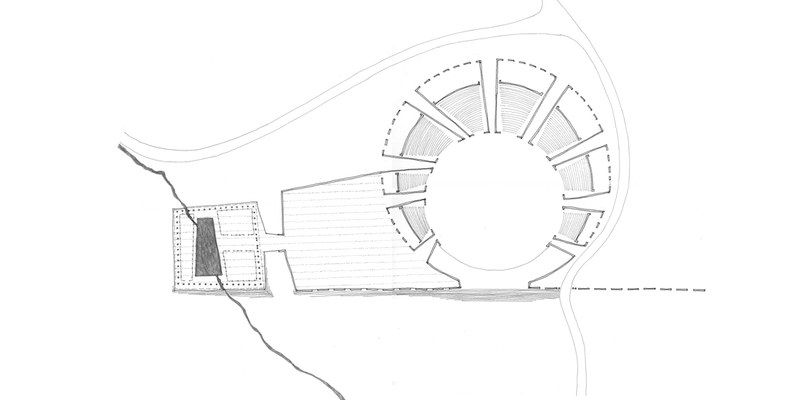 Two of these bays project directly into the Kelly Plaza thus combining the functions of these aspects of the Arboretum. Finally, the Southern Cross constellation is mapped out on the high points of the site in the form of light towers or lit pools. This great heavenly symbol of the Southern Hemisphere, which has significant iconic value in Australia, adds a celestial dimension to the cultural symbols which overlay the stories of the history and geography of plant life on Earth. At night the points of the constellation would be spread around the glow of light from Kelly’s mask and plaza and the Kimberley Wanjina amphitheatre.